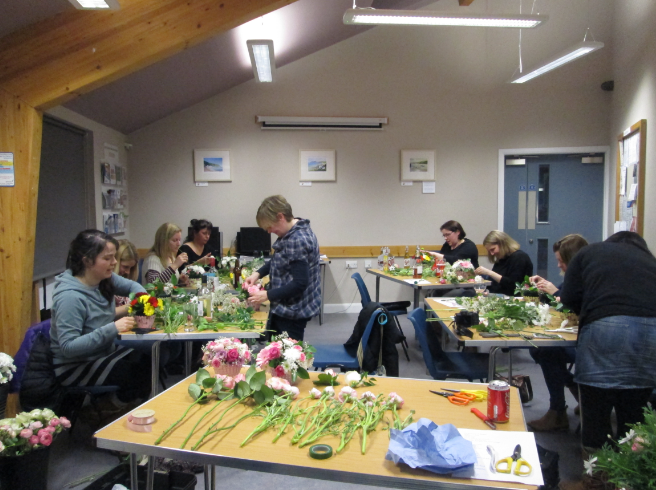 Last night saw J’s Bouquets doing our first ever talk and demonstration class for a group of ladies in Nefyn. 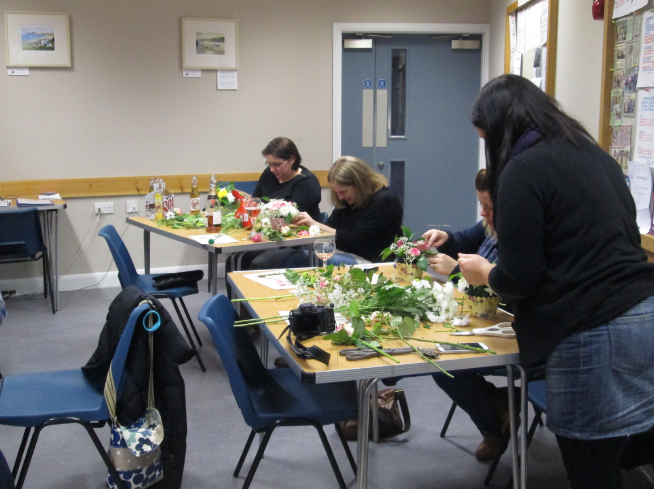 As well as discussing the general care of flowers each lady made a buttonhole using wiring techniques and a ‘cupcake’ table centre design. 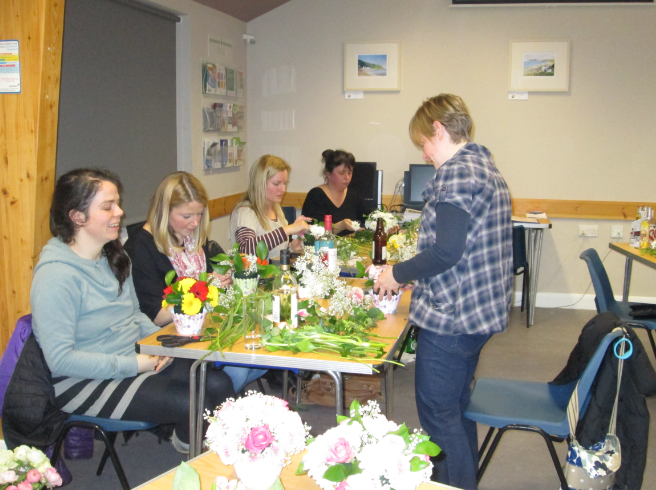 The designs were judged at the end of the evening and the quality of the designs were very high indeed. Well done to First, Second and Third, it was a close competition! 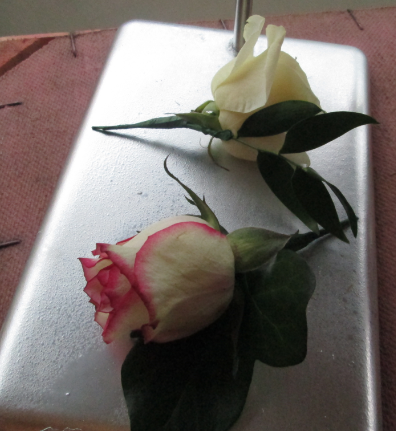 Tomorrow sees another first! 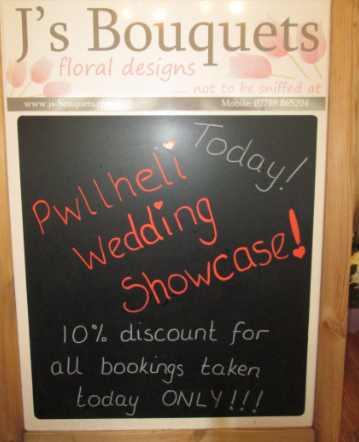 Pwllheli town will host its first ever Wedding Showcase. 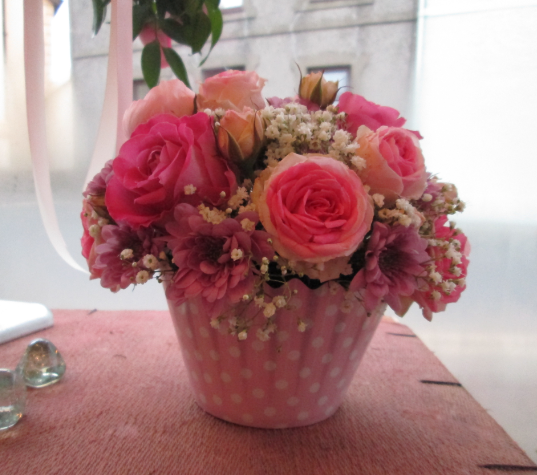 There feels a real wedding mood in Pwllheli today as all the shops prepared their windows for tomorrow. 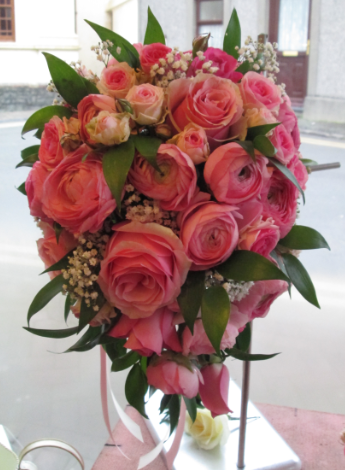 J’s Bouquets is no exception! Just a selection of designs on display! 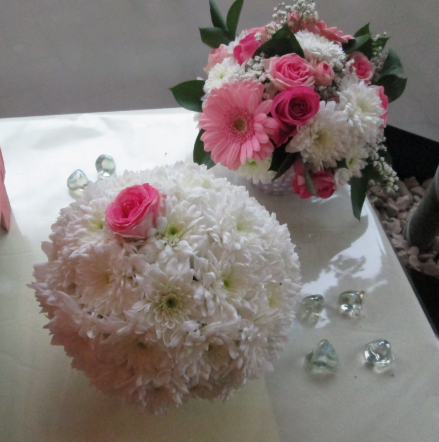 J’s Bouquets is offering a 10% discount to all wedding packages booked tomorrow. The diary is filling up fast so get yourself penned into the diary tomorrow! !